The Ohio State Buckeyes dominated the Washington Huskies for three quarters and then held off the Huskies final quarter rally for a 28-23 win in the Rose Bowl in the final game for Urban Meyer as head of the Buckeye program. Dwayne Haskins threw three touchdown passes in what may or may not be his final game with the Buckeyes to lead Ohio State to the win. Ohio State returns to action on August 31 in Columbus as the Buckeyes will host Lane Kiffin and the Florida Atlantic Owls. 1) Is it possible for a quarterback to throw three touchdowns passes without an interception and still seem like he was just a bit out of sync? Dwayne Haskins seemed that way and it can be understood as well. The only bowl game that he will possibly play in and it's Urban Meyer's last game? It's easy to see how that can happen and while Haskins may not have been great, he was still pretty good. 2) Dwayne Haskins would be best served to return to play another year and the track record for quarterbacks that played just one year in college is spotty at best and awful at worst (quick name one or two that was successful in the NFL) for those with that experience in the NFL. Still, I certainly understand it as he's the top passer in the draft and the 2020 class could be loaded with talent. Best for his playing career? I doubt it. Best for his life and financial future? Absolutely. 3) One more QB note with the possible arrival of Justin Fields via transfer from Georgia, Tate Martell has been lobbing some Twitter bombs towards Fields that are full of bravado, but come across as somewhat insecure as my buddy Ian McArdle spoke. I like Tate, always have, but I think his skills are better suited for the pure read option that Urban Meyer ran than the pro-style hybrid that Ryan Day will likely install. It's a bad break for Martell, who has been nothing but a loyal Buckeye, but these things happen when coaching changes occur. 4) Parris Campbell caught eleven passes in the victory and passed David Boston for the all-time reception record as a Buckeye. Campbell will be a second or early third-day pick in the draft, but he'll be the type of player that will be best used as a versatile player in various ways in the pros. Think of Campbell as more like Curtis Samuel than Michael Thomas. 5) Mike Weber rushed for over ninety yards in his final game before the draft. Weber won't be a huge star in the pro's, but he'll be a solid back for someone. 6) The Buckeyes did gain some good news following the game when linebacker Malik Harrison announced his intention to return to the team next season. Harrison finished the season strong and his return will be a huge help to the defense. 7) Brendan White was named one of the players of the game with Haskins and White's late-season play has also been a huge asset. White and Jeffrey Okudah, who also played very well against Washington, will be the leaders of next season's secondary. 8) The Rose Bowl win was the eighth for the program and allowed them to tie Michigan for the all-time Big Ten lead for Rose Bowl wins. 9) Ohio State started two new players along the offensive line in Joshua Alabi (1st start) and Wyatt Davis (2nd start), both acquitted themselves well and will be counted on next season. 10) I've always liked Washington coach Chris Petersen, his teams don't roll over and they always play hard as you saw with their rally down 28-3. Petersen is on the verge of making the Huskies the premier program in the Pac 12, but the Pac 12 is clearly the weakest of the power five conferences. Washington still has a way to go to become a national power, but Petersen has the right idea. 11) The final game under Urban Meyer was a media spectacle of course, but it was an understandable one. Arguably the second best coach of his age, Meyer's retirement was going to be a big deal. 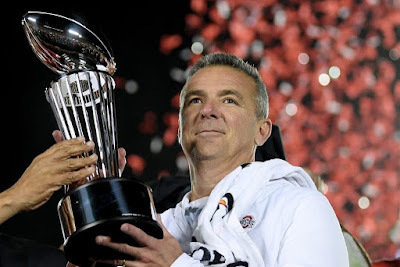 Urban Meyer's record for Ohio State finishes with an astounding 82-9, wins in the Cotton, Sugar, Fiesta and now Rose to go with the 2014 National Championship- not bad work for seven years time. 12) The Buckeyes are reportedly adding Mike Yurcich from Oklahoma State as the new offensive coordinator to work with Kevin Wilson in the position that Ryan Day previously held. Yurcich and the Cowboys averaged over 500 yards a game this season. Yurcich is a Euclid, Ohio native, but started his career as the offensive coordinator at nearby Shippensburg PA university. 13) So another season ends for the Buckeyes with another dominating win over the rival, a major bowl victory, perhaps being a better team than teams that made the playoff and still on the outside looking in. At the current time, the only programs that can be said to be stronger at this time are Alabama, Clemson and arguably Oklahoma, but there are hurdles to be leaped- mainly avoiding an inexplicable loss on the road to a lesser opponent that keeps them out of the system. 14) And there isn't Urban Meyer anymore and as high as we are on Ryan Day from his offense and three game cameo that more than likely was the seed to the eventual retirement of Urban Meyer, we still have questions. 2019 starts answering those questions. 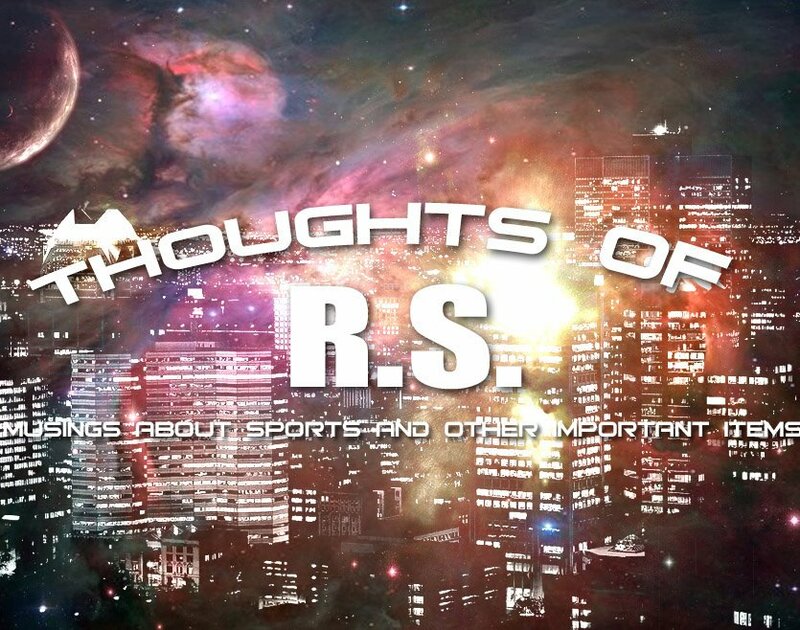 I have the weekend in boxing next and without Browns, Buckeyes or anything else other than boxing in two weeks, I'll have plenty of time to do some year in reviews for the two teams and the one that I had forgotten on the Hagerstown Suns with a surprise or two. Back tomorrow or maybe sooner.